[FTC Standard Disclaimer] SABER Grills is a sponsor of Nibble Me This; however, any opinions stated herein are my own. I am excited to be working with SABER Grills this year and was thrilled when they upgraded my SABER Cast 500 with this SABER Elite SSE 1500. 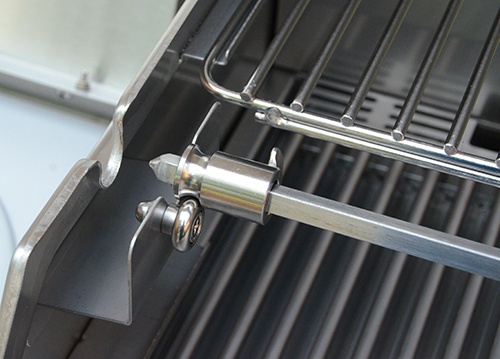 Before I get into any drawn out review of the SABER grill, the short version is that I love them because they replicate the power and style of the grills that I have gotten to use in commercial kitchens. Working with grill & smoker manufacturers like I do, I have put together a lot of grills in the past decade and many of them are a real pain to assemble. The quality of the SABER Elite 1500 was evident as soon as I started putting it together. The SABER Elite 1500 was a piece of cake to assemble. That's no accident, they engineer it that way. 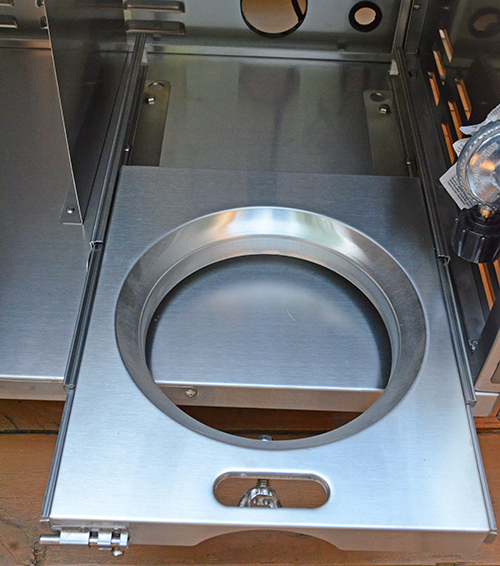 The main part of the grill - the cooking container - is 100% pre-assembled. You just have to build the base cart, put the cooking container on top, and attach the side pieces. Easy peasy. The entire assembly only uses two types of connectors - one size/type of bolt and one size/type screw. 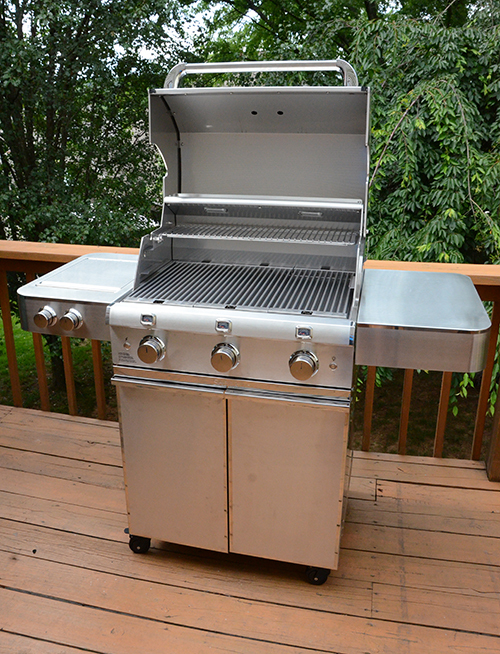 Most grills come with blister packs of over a dozen types of connectors that can be confusing when reading the instructions. With the SABER, it's almost impossible to use the wrong connector. This seems like a small detail but I noticed it - even the bolts and screws are quality. Some grills have cheap bolts/screws made of softer metal and it is easy to strip out a screw head. They sometimes aren't machined just right, so they don't screw in easily. That was never an issue with the SABER, the bolts and screws seem to be made with harder metals and are precision made. There are touches that aren't necessary but make assembly SO much easier. For example the side shelves and doors hang in place on their own, so you don't have to try to hold them in place while you try to fasten a screw or bolt. The SABER Elite 1500 is loaded with quality and great features that have real benefits. The most important feature is the infrared cooking system, which absolutely impresses me every time that I use it. It has the power of a charbroiler in a commercial kitchen but the infrared heat doesn't dry out your food like a convective gas grill does. Let's have a look "under the hood". Far left shows the long lasting, powerful burner tube. 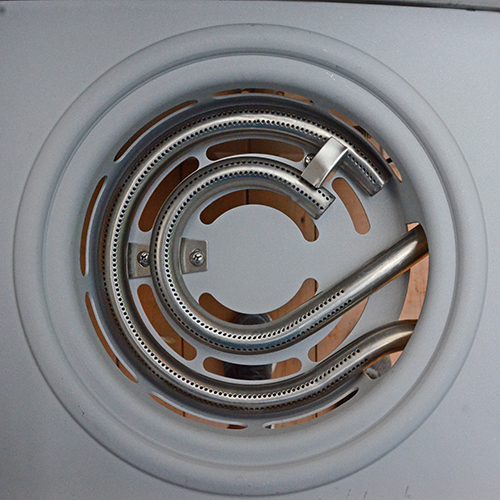 The center shows the commercial grade stainless infrared emitter. 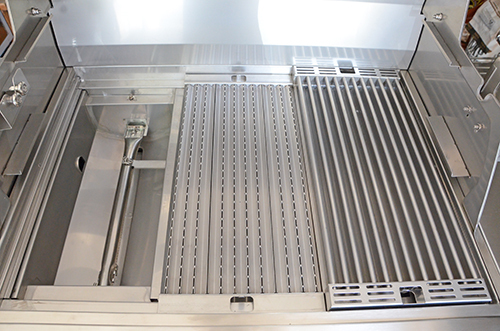 The right side shows the raised, stainless steel grates which channel hot drying air away from your food. 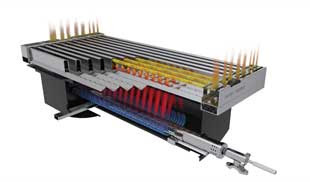 This graphic from SABER's website shows a cutaway view of the system working together. The robust burner heats up the infrared emitter, cooking your food with potent yet gentle heat. The grates vent the hot air out of the ends. There are several benefits from these features. Juicier food - Hot convective air dries the surface of food, infrared heat does not. 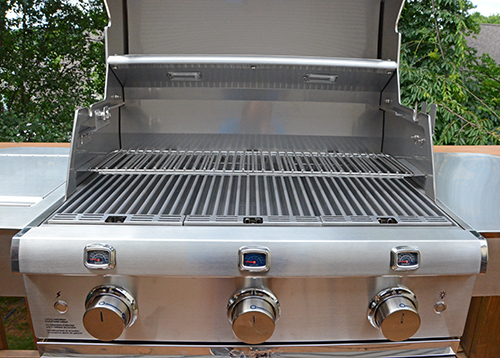 More efficient - The system is more efficient so you burn less fuel (propane or natural gas with a conversion kit) than typical convective grills. No flame ups - The infrared emitter also prevents the flames below from touching your food so accidental flame ups won't burn your food. 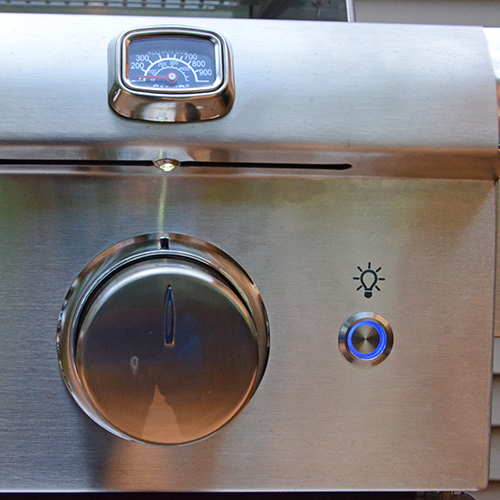 Even temperatures - The emitter plates also even out temperatures so there are no hot spots like you get on some grills. 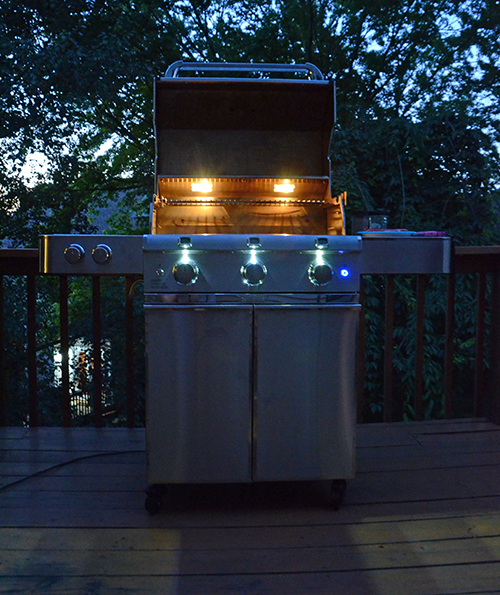 The SABER grills have the best zone cooking set up I have used. 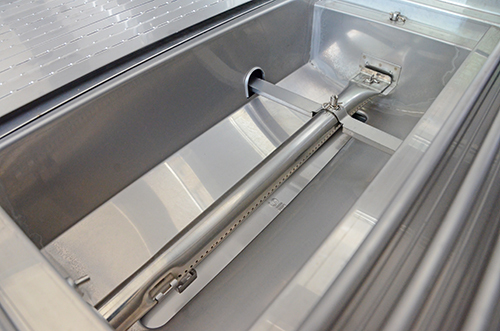 Each burner tube is in it's own separate compartment so you have better heat control between sections of the grill. You can cook the left burner on high and the center on medium and they will be two different temps. 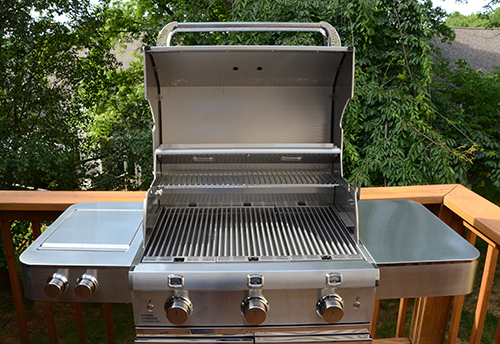 With most gas grills, all of the burners are just in one big area and their heat affects each other. The dual tube side burner is a great feature because it gives you a wider range of temperatures and better control of them. The controls are intuitive and operate smoothly. 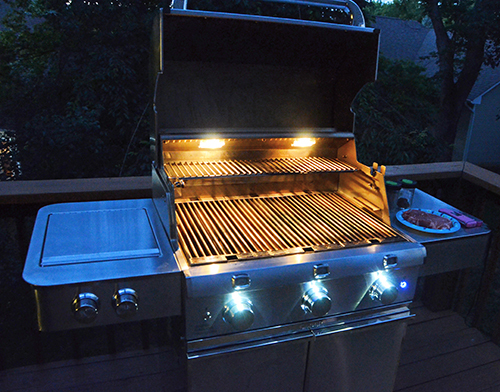 The SABER Elite series grill features lighting for both the cooking area and controls. This is a huge benefit for people who cook all year round. 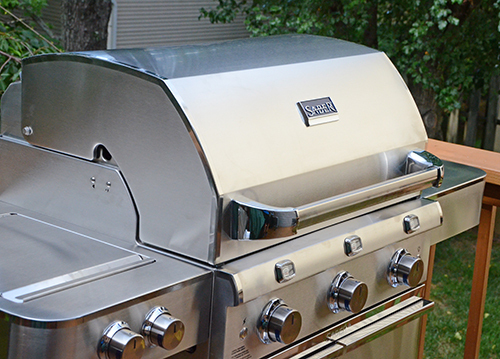 The SABER Elite series also include this rugged, attractive rotisserie. It's not just a typical motor with a stainless steel cover. I have 2 universal rotisseries and both of them are 4 watt motors. This SABER rotisserie boasts a 15 watt motor, it won't be struggling to turn a fully loaded spit. The support end is grooved and rests on two spinners, for flawless, smooth rotation. Cheaper ones usually just have a bushing that rests in a cut out piece of sheet metals. 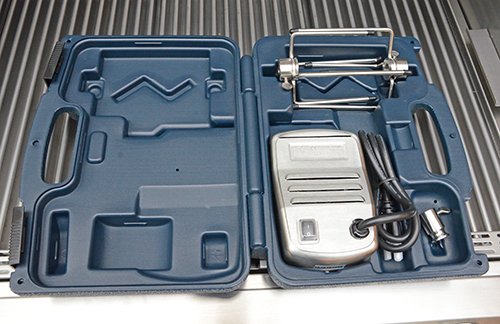 The rotisserie even comes with this nice storage case. I like that the upper rack can be used in two positions, either low like this or up higher and back. No more busting your knuckles or twisting your back trying to get the gas tank out. 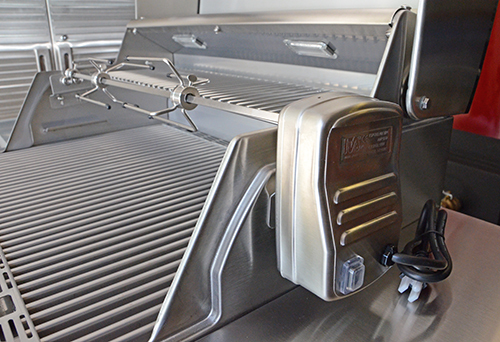 The SABER features a stainless, slide out shelf for the propane tank. This storage shelf is great for storing the grill cover, the rotisserie case, supplies, or tools. 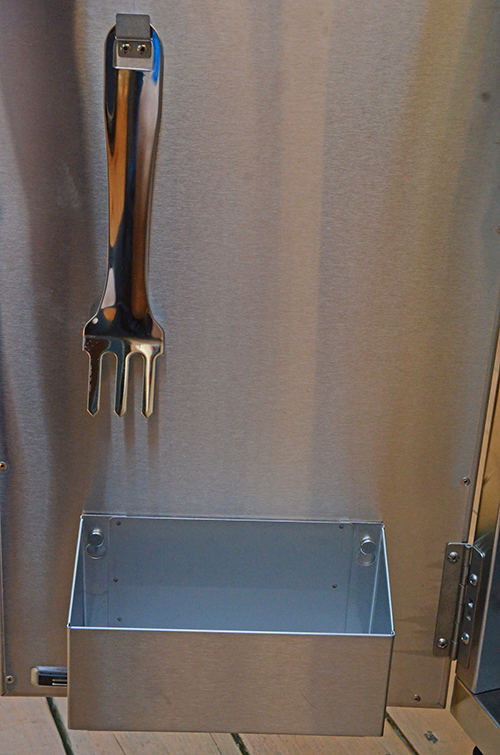 The tool for scraping the emitter and another storage area are mounted on the inside of a cabinet door. 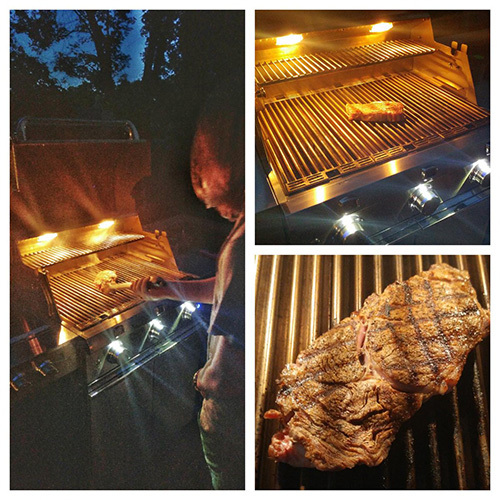 Another difference between premium dealer grills and cheaper big box store grills is the quality and thickness of the stainless steel used. The SABER Elite SSE 1500 features heavier gauge, 304 grade stainless steel which is heavier duty and looks better, longer. An added plus is the mirror finish on the hood and outer areas. 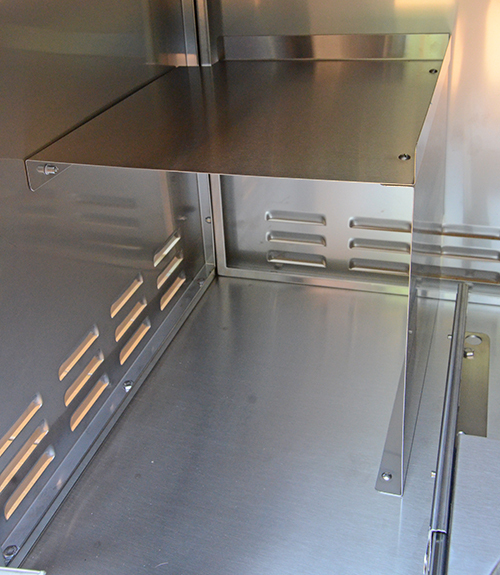 Each burner compartment has it's own temperature gauge. The SABER Elite SSE 1500 also boasts a lot more cooking area, 75 more square inches than a 3 burner Weber that you might buy at Home Depot. I already knew that SABER Grills rock from prior experience, so I expected perfection and that's what I got. I keep saying it - this SABER cooks like a professional charbroiler that I've used in commercial kitchens. 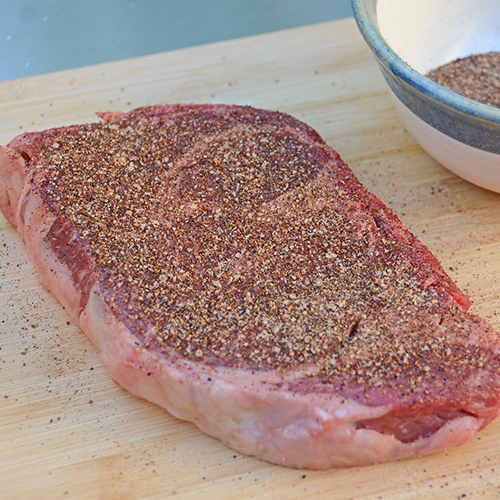 My first "test subject" was a prime ribeye steak seasoned with my friend's espresso rub recipe. 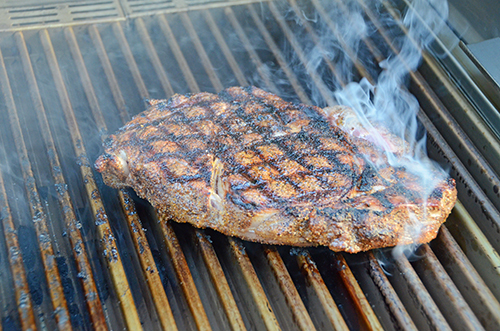 The stainless steel grates also create stunning grill marks. 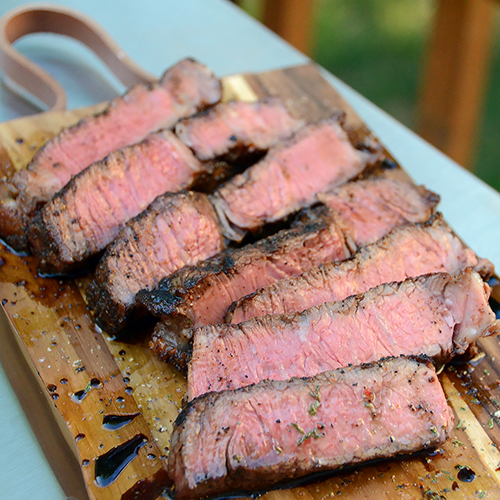 A lot of us grillers use an aftermarket set of grill grates to get marks like this but the SABER Grills don't need them. 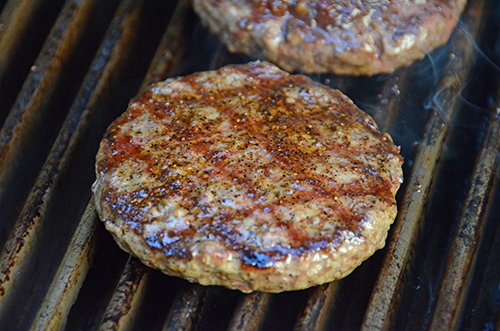 Alexis and I grilled some prime beef burgers. See how the surface of the burger isn't dried out? 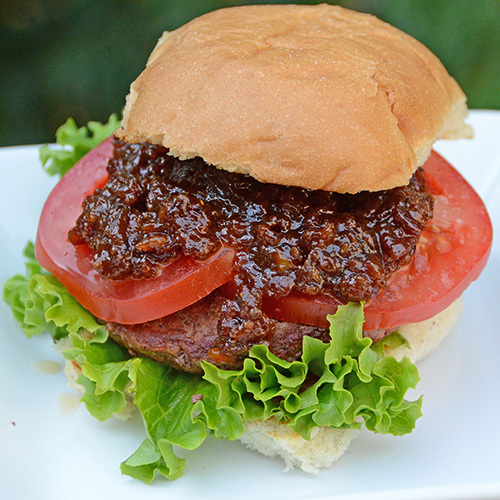 Bacon Jam & Tomato Burger - one of my all time favorite burgers. But my favorite cook on the SABER Grills Elite SSE 1500 was one where I didn't cook a thing. My youngest son came home late from football activities and grilled himself a ribeye steak. While he grilled it, he talked about he was grilling more now because after next year, he will be away at college and needs to be able to cook for himself and roommates. It was a pretty cool father-son moment the week before Father's Day. Trevor loves the SABER Elite SSE 1500, saying it is "legit". I have 7 grills on my deck and the SABER is clearly his weapon of choice. He's used it 3 times in the first week I put it together and he already hinted that this is the one he'll want to take with him in college. 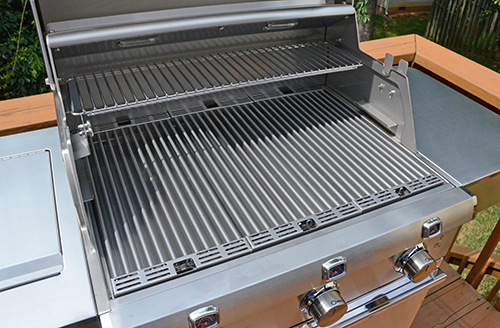 tl;dr The SABRE Grills Elite SSE 1500 is a quality, luxury grill that performs as good or better than professional grills in a commercial kitchen. 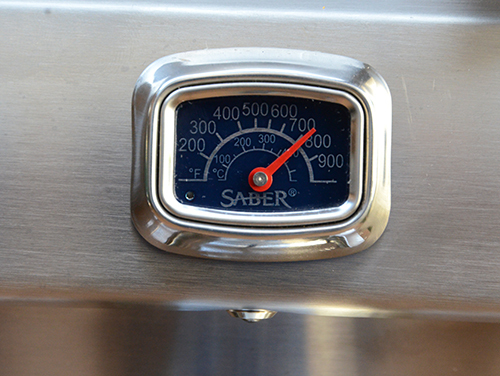 SABER Grills are available through their dealer network. In Knoxville, The Great Backyard Place and Prism Pools are both SABER Grills dealers.